I’m really sick of people saying that they didn’t expect Tony Abbott to be the type of Prime Minister he is. I’m really sick of people saying his policies caught them by surprise, that they didn’t expect him to slash and burn to the extent that he has tried, but thankfully, so far mostly failed to. I hear all types of people, even political journalists, saying that Abbott promised he wouldn’t be making cuts and they took him on his word and they didn’t expect him to lie. He had a pamphlet and apparently this was gospel truth about exactly what an Abbott government would look like. To this, I’ve always said, just look at him! Listen to him! Use your brain! Are you blind? Wilfully blind perhaps? Independent bloggers like me, who predicted exactly how bad the Abbott government would be were told we were just partisan Labor hacks and that he really wouldn’t be nearly as bad as we said. But we, if anything, mostly under-predicted how bad he is going to be. However we were spot on with the ideology that oozes out of this government – the class and culture war that’s been inflicted is exactly as we thought it would be. How did we guess the type of policies Abbott would sneakily introduce once in power, but those who are paid to inform the community totally missed it? Seriously, how was this mistake to universally made? How could Australians be so let down that they have had the Abbott surprise inflicted on them? How could they be left so ill-prepared and uninformed? This frustration was all running through my head when I came across this address by Abbott as Opposition Leader to the Millennium Forum on 14 May 2010, helpfully stored in Hansard. When Abbott was saying all of this, outlining his plans for Prime Minister Abbott, were political journalists and commentators listening? Or worse, were they listening but couldn’t comprehend what this obvious, blatant ideology would look like in power? Do they have a different definition of ‘small government’ than I do? Or did they know and chose not to say, knowing that Abbott would never win if people knew the truth about him. I fear it’s mostly a mixture of the latter, depending on the media organisation they work for. You read Abbott’s words for yourself and be the judge. Would Australians have seen Abbott differently if they knew he was coming at politics from this world view? If this world view was explained sampling (for example: small government equals cuts to health, education, welfare and all public services). Oh, and I can’t help but thank Abbott for his reminder that the last one term Australian government was in 1931. I look forward to Abbott’s government reclaiming that record in 2016. Thanks very much, ladies and gentlemen. It’s great to see so many of you here. Julie, I really do want to thank you for that terrific introduction and yes, I think it is very important to be a politician and a leader of conviction but it’s important that leaders of conviction respect the convictions of those who think differently and if there’s one thing that I hope I have learnt over those 16 years it is that this is a great big wide world, not everyone shares my views. I do, I think, have a duty to do what I can to advance these ideas, these convictions that I have but it’s very important to respect the convictions and the ideas of those who think differently and in acknowledging all of my colleagues I should say a special thank you to the political exemplar of exemplars, namely our former Prime Minister, John Howard. A man of great conviction, but a man who realised that in the office of Prime Minister you had to be a Prime Minister for everyone, not just a Prime Minister for those who voted for you. John Howard, the greatest Prime Minister since Bob Menzies, the finest politician of his generation. I am a different politician to John Howard. There would be some in this room who would be disappointed that I am a different politician to John Howard but I say this: the politician that I am owes a very great deal to John Howard’s friendship and his mentoring and I thank you very, very much indeed, John. Again, I welcome all of my distinguished senior colleagues. I should pay a particular tribute today to my Shadow Finance Minister, Andrew Robb. Budgets are difficult weeks for both sides of politics. They’re particularly difficult weeks for the finance men. I was the one who delivered the words last night but the ideas and the concepts were very much the property of Joe Hockey and Andrew Robb as well as the property of Tony Abbott and thank you, Andrew, for all your hard work over the last few weeks. But ladies and gentlemen, we are getting to the business end of the electoral cycle and when we look back over the last two-and-a-half years and ask ourselves what has the Rudd Government actually done, I think they’ve done two things essentially. They have spent all of the carefully accumulated capital, they have blown all of the hard won surpluses of the previous government, that’s the first thing that they’ve done. The second thing they’ve done is that they have very seriously undone some of the important reforms of the former government and indeed of the government before that, they have let the union bullies back into so many of our most vital workplaces, that’s the second thing they’ve done. The third thing they are proposing to do is to plunge a dagger into the heart of Australia’s prosperity because that is what this great big new tax on mining will be. Now, all Budget week we’ve had minister after minister hitting the airwaves saying that this so-called super profits tax is about taking from the London shareholders and giving to the Australian battlers. Well, that is wrong, wrong, wrong. It is a triple whammy tax. It is a tax on the 500,000 Australian workers whose jobs depend directly or indirectly on the mining industry. It’s a tax on the millions of Australian retirees whose incomes are drawn from those shares and those dividends that the mining companies pay. It’s a tax on consumers because you can’t raise the price of coal, you can’t raise the price of oil and gas, you can’t raise the price of building material, you can’t raise the price of fertiliser without that flowing through into the consumer price index. It is a triple whammy tax and my job, our job as Coalition Members of Parliament is to let the country know the threat that they face from the Rudd Government if it is re-elected. And you’ve got to ask yourself where does this stop? I mean, if a six per cent return on capital is a super profit for the mining industry, what other industry is next for this kind of treatment? And if you listen to the Prime Minister and the Treasurer talking about how good this great big new tax is going to be for the mining industry, why wouldn’t they impose the same tax on everyone else? There is a fundamental lack of logic, though, about what they’re saying. Any of you who have followed the debate closely over the last few days would know that by the logic of this Budget a tax on cigarettes means less smoking but a tax on resources means more mining. It just doesn’t work. It just defies logic and yet it is the fundamental premise on which the Budget is based. But haven’t times changed, ladies and gentlemen? Just a few months ago there was BHP, the big Australian, there was Rio, that great, iconic Australian company under threat from potential foreign takeover. These were heroes, they were the heroes that have saved us from the recession. Now, of course, they’re big, exploiting multinationals. Well, as far as I’m concerned they are just businesses but they are important businesses. They are vital businesses if our country is to prosper, if our people are to grow richer and happier, if our country is to be more cohesive in the years ahead, and they do not deserve to be targeted in the way they have by this government. Sensible politicians know that what you should never do is sacrifice the long term welfare of the country for tomorrow’s headline and that is what this government has been prepared to do and the risk is that they will strangle the golden goose which has laid the eggs, the golden eggs which have driven our prosperity, and I say to all of you that the only thing standing between Australia and this threat is the Coalition. If you think this would be a disaster for our country and our economy there is only one course of action open to you and that is to vote out this Government. But ladies and gentlemen, this is Budget week and there have been a lot of stories coming out of Budget week. Some of them I’m afraid are fairytales. The idea that the Rudd Government is ever going to deliver a surplus is as big a fairytale as the book that the Prime Minister spent his Christmas holidays writing. It just is not going to happen. They can postulate a surplus in three years time based on very optimistic assumptions about growth, but the only reality, the only hard fact in this year’s Budget is that this year the deficit is $57 billion. Now, the great thing about coming to these lunches is that they bring you down to earth and I am indebted to one of you for this very important piece of political advice. He said, don’t talk about a billion. A billion dollars is meaningless to the average person in the street. A billion dollars is the cost of 20,000 Holden Commodores. That means that $50 billion is one million Holden Commodores. The deficit this year is the price of one million Holden Commodores. It is a staggering, staggering amount of money and that’s the money that’s going out the door thanks to the profligacy of this Government and, sure, they tell us that we will be in surplus in three years’ time. What they didn’t want to tell us is that every week until then we will still be borrowing $700 million and to use Nihal’s [Gupta] language, $700 million is two 747’s every week. So, that’s a hundred in two years, it’s 150, I mean these are the sorts of figures, these are the sorts of realities that we are dealing with thanks to the continued debt and deficit of this Government. So, ladies and gentlemen, we do have a clear alternative. At least, I suppose, we can say that both sides of politics believe that we do need to tame the deficit dragon. We do need to kill the deficit dragon. But, the difference is the high road and low road. We will take the high road of reducing government expenditure and creating a more productive economy. They will take the low road of increasing taxes and fiddling with the assumptions. What we will do is we will spend less, we will tax less and we will have a smaller government. Lower taxes, lesser spending, smaller government are at the heart of the Liberal Party’s principles, they’re at the heart of the Coalition’s philosophy and what I did last night was start to talk about how we would make that happen. Less tax – no great big tax on mining. Less spending – we won’t give money to the education bureaucrats to waste on over-priced pre-fabricated school halls. We will give it to the parents of Australia who know what is good for their kids and for their kids’ education. We won’t re-build Telecom fortyodd years afterwards. We won’t go ahead with the $43 billion white elephant with this big new nationalised telecommunications bureaucracy You know, I spent long enough as a Minister in the Government to have a good opinion of the Australian public service, but we don’t need more and more of them every year. There are 20,000 more public servants today in Canberra then there were in 2007 when Lindsay Tanner said he was going to take a meat axe to the public service. Well, I’m not so brutal as Lindsay promised to be. I just think that by natural attrition we can have 12,000 less of them and that will save $4 billion over the period of the forward estimates. So, ladies and gentlemen, lower taxes, smaller government, less spending. We have to get the debt and deficit under control and it’s pretty clear that the only way you can do that in reality as opposed to in a self-serving political fable is by changing the government by supporting the Coalition. Now, it’s not going to be easy, as all of you know. It is very difficult to beat a first term government and as all of the commentators will tell you, over and over again, between now and polling day, the last first term government to lose was Jimmy Scullin back in 1931. But, ladies and gentlemen, a 79 year old record is just waiting to fall. It’s just waiting to fall. I don’t for a second underestimate the difficulty of the task. I don’t for a second underestimate the gifts of character that will be required from all of our team and all of our supporters over the next four or five months, but I have great confidence in the common sense of the Australian people and I have great confidence in the ability of my colleagues and I think we can win. I think we can win and we don’t want to do it for us. We want to do it for our country. That’s what it’s got to be for. It’s got to be for our country and I know that’s what all of you think. You aren’t here just for the Liberal Party. You certainly aren’t here just for me. You are here for Australia and I want to thank you for that very much indeed. Victoria great article. I share your frustration!!! Another speech that rung alarm bells about what sort of PM Tony Abbott would be was his April 2013 40th Anniversary speech to the IPA. His ‘promises to implement many of the IPA’s 75 policies’ clearly demonstrated who he would be ‘governing’ for if he won the coming election. It would not be the public! Yet he was able to avoid scrutiny by political journalists at every turn. At the time there was no political commentary/scrutiny about the speech (apart from shallow comments about who attended) that was clearly aimed at fulfilling the IPA’s ‘wishlist’ of environmental and social destruction. It was clear at the time who would suffer if the Abbott and the IPA got their ‘wishlist’….. the poor and vulnerable, low income people, in fact middle income also and of course the environment and the future. 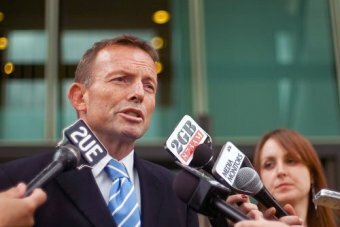 Abbott’s ideological obsession with ‘not taxing his mates’ but taking fund from the government, came through loud and clear in his speech, as did Rupert Murdoch’s speech at the same gathering claiming that the ‘free market was more moral than the state’ so we should have as little of the ‘state’ as possible. Social media posted and shared the speech and there was much concern and anger, from people who were desperate for as many of the public possible to be aware of what was in store if they voted for the LNP. But where was the political commentary? Nothing from the MSM…. even experienced ABC and SBS journalists. Well, we all now know the implications of Abbott’s far right ideology. Perhaps the MSM will now apply scrutiny to the issue of whether or not Tony Abbott has duel citizenship of Britain and Australia. Member for Griffith, Terri Butler, has written to the PM following a letter of concern from a member of the public, who has been researching this issue for some time, but so far has not been able to find out if Tony Abbott is still a British citizen. His office won’t release information. Maybe we might not have to wait until 2016. Oops correction – that should be ‘taking funds from the public’.